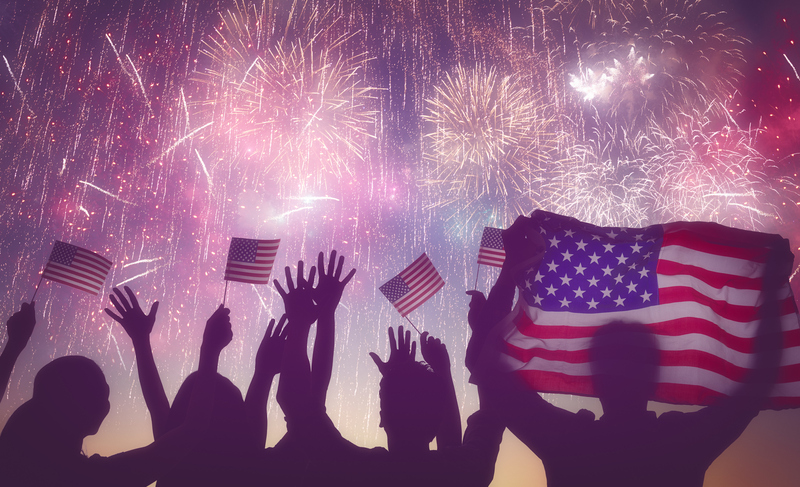 We want to wish everyone a very happy 4th of July. America now has had 242 years of Independence, that is really something to celebrate. With USA in our name, you know we love the good ole U.S. of A. and appreciate the groundwork and sacrifice so that we may enjoy so many things. We also want to kindly remind everyone to be safe traveling and enjoying the festivities. Patriotic holiday. Silhouettes of people holding the Flag of USA. America celebrate 4th of July. Shopping for the right home is always a major undertaking. You want the right neighborhood, a place close enough to work to get there quickly, and far enough that you can’t be pulled in at a whim. You want a place that is safe for your kids but gives them all kinds of places to explore and play in the yard. Over the years you’ve improved the house: invested in landscaping to make your yard a bright spot of color in the neighborhood, and all the neighbors are trying to catch up with you; you replaced your vinyl siding with wood siding–ipe siding, of course–and you put a beautiful ipe wood deck in the back. And you’ve done all this because you’re proud of your home, and want to have everything look just right. And it’s those finishing touches that make the difference. In the clothing business, they call it “the Concept,” putting the proper finishing touches on an outfit. When you buy a new car, you don’t want old tires on it, right? Or when you buy that brand-new suit, you don’t want to wear a worn, tattered, threadbare shirt and tie, but want something that makes your investment looking its best. And that’s what an ipe wood fence is doing for your house and your yard after all the other work and effort you’ve put into it, you want everything to be perfect. You want the concept or look, to be complete. Adding ipe fencing completes the concept, tying it all together. Also, by making the fence from Brazilian walnut–another name for ipe wood–you unify everything tying it all together, finishing it all and completing the concept. Whether or not you’ve used ipe decking or ipe siding for the rest of your home improvements, an ipe fence just gives it that extra little touch of class, that says the people who live here care about their home and the neighborhood. They care enough to make sure their house has a beautiful fence that will last for years and years and not fall apart. They care enough to install one of the most beautiful hardwoods on the planet. Ironwood, aka ipe wood, is a wood that will last forever. Some studies say that it will last up 75 years. You can rest easy knowing that your investment in your home will help increase the home’s value, and has made it the best-looking home in the whole neighborhood. Ipe Woods USA wants to be your partner in this, working alongside from start to finish on whatever project you’re working on to improve your castle. Visit us at ipewoods.com. We want to help you make your home the best-looking place in the neighborhood. Turning your home into your castle is a major undertaking. And you want to do it right and avoid any unnecessary costs and surprises. The old saying goes “Well begun is half done.” (It’s attributed to Aristotle, but I suspect he didn’t have the rhyming thing going on.) So when you decide to add a deck to your house, you want it done right, without any worries. The two most important things about your project are what to use, and how much will it cost? To restate the obvious, one affects the other. Given that you have invested much in your house, we can safely assume that you’re not going with vinyl decking options. You already know that wood decking looks better and increases your home’s value more. And of course, you want to go with the king of woods–ipe wood, aka Brazilian walnut or ironwood. While that may cost more on the front end, on the back end, you’re going to be saving time in longevity and maintenance costs. The average national costs of building a back deck are about $7,100, with the range running from $1,800 on the low end, and $17,000 at the top end. The cost per square foot for ipe decking averages about $7.50 per square foot but can go as high as $10 per square foot. Remember to add your labor costs, which start at $20 per hour, and can run as high as $35 per hour. Always calculate the highest cost, this avoids unpleasant surprises. Start with the basics: How big is your deck going to be? The average size of a back deck is 200 square feet to 500 square feet, although some can be much larger. When you’re doing your calculations, remember to include support materials as well, such as beams and joists. So far, we’ve talked about your basic costs. But you have to be careful to remember the extras when calculating your costs. You might not think of them as such, but things like benches, pergolas, planter boxes all count as extras. Don’t forget to add those in as you’re calculating your total cost. You may be having a heart palpitations as you start looking at your costs, but you’re only looking at the subtotal, not the total. Yes, using ipe wood to make your deck will cost you a little more on the front end. But when you look at the lower maintenance costs, and what ironwood adds to the resale value of your house, you come out ahead. Remember this is an investment, and the best investments pay out in the long haul. Ipe Woods USA–ipewoods.com–the industry’s low-cost leader is here to help you build the most beautiful ipe deck possible. Our wood is the best, and our customer service is second to none. We consider it a privilege to be your partner in making your home your castle. You live in a nice upper-middle-class neighborhood; maybe even a couple steps above upper middle class. Your house looks great and you work to keep it that way. You worked hard to get here and take pride in what you’ve achieved. And yet there are those pesky neighbor kids who have taken a liking to your fence. Or maybe it’s a dislike. They keep doing this. And it’s costing you money and a lot of hassle. Besides the repairs, there’s also the cost of getting that security camera to catch the little rats at what they’ve been up. Plus all the hassle and time to call the cops once you’ve nailed the little rats. There is an easy way to fix it. The one problem with most fences and fencing materials is they just don’t stand up to a lot of wear and tear, and/or abuse, such as neighborhood kids launching regular attacks, heat, cold, snow, rain, and crawly critters who munch on wood. Vinyl looks good and tough and it supposedly low maintenance, but it’s all looks and no show. As you saw in that video, it can be taken out by a young kid who gets a good running start. What you need is a Ipe fence that will shrug off all those threats like Arnold swatting a bothersome fly. The answer is a fence built of ipe–Brazilian walnut–wood, from Ipe Woods USA. Another name for ipe is ironwood. And it didn’t earn that name just for its good looks. A fence made from ipe will stand the test of time as well as attacks from critters that would like for it dinner because of its dense nature. The US Naval Research lab has tested the durability of ipe and says that it can last for up to 75 years. Any kids who try knocking down that fence are going to need orthopedic attention. But even more so is how good looking it is. Freshly installed, ipe wood fencing is a light to medium brown. It’s a handsome color and stands out beautifully. With its natural density and strength, ipe will stand the worst Mother Nature has to throw at any all natural wood fences. It’s both tough and beautiful. Can you ask for more? Your other big benefit with your ipe wood fence is its low maintenance nature. Most contractors recommend not staining the wood, and letting it fade to the beautiful silver-grey patina–like teak– that aged ipe takes on. However, if you want to stain it, make sure you have a stain that is formulated for ipe–not every wood stain on the market will work for ipe wood. And you only need to do it annually. A fence that’s beautiful, tough, and low maintenance, if this were horse racing you’d that’s the triple crown. It’s a given–your house will be the largest personal investment you’ll make. Just signing the mortgage makes people’s heart rates go up drastically. More than the financial investment in the house is the emotional one you’ll have with it. Your kids will be born and grow there–they’ll play in the backyard and front yard. They’ll climb trees, play tag, Red Rover, Red Rover, etc. And yes, you can admit it, you’ll become emotionally attached to your home as well. Memories will grow there. With all that–you want your home to look as good as possible for as long as possible. Which means, what kind of siding do I use? Vinyl or wood? Classic always wins–go with wood. Wood is that great look which shows up in all amazing home styles and designs–classic or modern. Face it, wood always looks best. But you already know that with your level of style and sophistication. After you’ve decided on the obvious, the next question is what kind of wood to use? Cedar and redwood have been around for ages. But they also require a boatload of maintenance, restaining annually and such. Almost more work than it’s worth. Which is one of the reasons people go for vinyl siding. And we all know how that looks after a while. Ipe wood, on the other hand, gives you the best of everything you could hope for. This is one of the reasons why Ipewoods.com specializes in great exotic woods, to help protect the investment you’ve made in your house. Ask yourself one question: How easy will this be for me? As easy as pie. Because it’s essentially maintenance free. The other traditional woods used for siding such as pine, spruce, fir, cedar or redwood, require a lot of annual maintenance. You’ve got to restain that siding every year. Or, if you’re not going to go out and climb all over creation doing it, you’ll be paying someone else to do it. No matter how you look at it, it’s going to cost you money and maybe a whole lot of time and effort. With ipe siding, that’s a thing of the past. General contractor Matt Risinger, suggests that you don’t need to worry about staining your ipe wood, aka ironwood, siding. Ipe’s dense nature makes it difficult to stain. The wood doesn’t take the stain easily. As Ironwood ages, however, it fades to a beautiful silver grey color. Ensuring that your house will always look fantastic, no matter how old it is. It’s not every day that you can have your home continue looking amazing years after you’ve put up the wood. But ipe wood siding does just that. Just like you, the ipe siding on your house will age gracefully, and with style. Your house will stay as beautiful as the memories that grew up there. One of the things our customers here at Ipe Woods USA like so much about ipe wood, is how easy it is to care for. Deck owners rave about how it easy it is to care for a deck made of ipe. You can stain it annually if you want, but most contractors say don’t worry about that. Keeping it clean is practically a matter of a broom and a hose. You may have paid a little more than what you usually pay, but stop and think about what you got for that little bit of extra money. One of the biggest hassles of using an all natural wood for anything–decking, siding, fencing–is you have to restain it every year, or it starts looking bad. Because of its dense nature, ipe wood doesn’t take a stain easily, and when staining you have to be careful not to put too much on, or it makes a mess. That’s not a problem though. Brazilian walnut, as ipe is also known, takes on a beautiful silver grey tone as it ages, and is just as gorgeous aged as it is new. So that means less work and expense for you, and still have a great looking house. Ipe wood siding saves you all that hassle. Another disadvantage to other typical all natural wood siding products is insects love eating wood, and so you have to be careful about that as well. Once again, ironwood comes to the rescue! Because of its dense nature (8Xs harder than California redwood), termites, and other nasty insects that like making dinner out of deck and siding, stay away from ipe. One less thing for you to worry about. The same dense nature that repels wood munching critters also makes ipe siding great for keeping the house dry. Ipe is such a dense wood, that it actually sinks. That means the water just slides right off and doesn’t work its way inside. It keeps your house nice and dry. Don’t believe me? Check out what Matt Risinger has to say about this. Because the water just slips away, the wood stays dry, which means that molds and fungi don’t attach themselves easily to your ipe wood siding. There is no all-natural substance that is completely fireproof, but ipe wood gets really close. Studies have given it a Class A fire resistance rating–the highest possible. Having ipe siding on your house is great fire protection. Unless you live in a neighborhood like what you see in the Lethal Weapon movies, where homes are shot up and blown up almost daily, chances are with ipe wood siding, it will take a lot longer than usual for the siding on your house to catch fire. Ipe Woods USA carries a wide selection of ipe boards for all kinds of purposes so that you can rest easy once you’ve got your house covered in ipe. It was a busy fall for you, and you didn’t get the chance to fix up your dock at the end of the season last year. And now boating and swimming season is just around the corner. Have no fear, there is no reason to worry. There is still time to take care of things. And to make things even better, we here at Ipewoods.com have come to the rescue. One of the problems with all natural wood docks is that in many ways, wood and water don’t get along. Slowly, but surely over time, water works its way into the wood and warps and cracks and makes the finish peel. Once that all happens, then you’ve got to replace the boards. However, there is an all-natural solution. One that will save you a lot of work and money. You’ve probably been using cedar or redwood for your dock up to now. Those are great woods. Many market them as being resistant to the ravages of water, but the fact is unless you’re using boards made from heartwood, they’re not really that resistant. Ipe wood, however, is naturally resistant to water, which means that you’re not going to come to the end of each season looking at warped and cracked boards in your dock. The natural water-resistance to water means you don’t have to worry about replacement and repair of your dock at the end of every boating season. While there may be some yearly maintenance–you never know what’s going to happen–generally, it’s much less than you’ll experience with docks made from other woods. Ipe wood didn’t earn its nickname of ironwood for nothing. This beautiful Brazilian hardwood can last up to 40 years. That’s practically two generations. With woods such as cedar and redwood, you have to restain it regularly. In fact, some say to do it each year. When you toss in replacing and repairing the boards, that’s a lot of work. Your ipe boards are very dense and don’t take a stain easily. (Yes, it can be stained, if you insist.) As a matter of fact, there are only one or two oils that can really do stain, and even then you need to be very careful because too much and it looks bad. Aged ipe turns a lovely silver-grey color, similar to teak wood. These two features help to keep your maintenance time and costs low. One of the other features of the Brazilian walnut is that unlike other woods, it has a more natural grip, so when it’s wet, you’re not sliding into the lake. However, Ipewoods.com does carry groove ipe dock boards, for draining away water on the surface of the dock, if you prefer that option. For keeping your dock looking and safer over an extended period of time–up to 40 years, remember?–nothing beats using ipe for your boards and joists in your dock. And with the reduced maintenance and overall cost, you just can’t lose using ipe boards for your dock. Next year we will be increasing the scholarship and changing the topic. Thank you to all the applicants. Caitlan Wallace had just turned 18, when her life was suddenly taken in a fatal car accident on September 29th, 2015. Caitlan was an intelligent, witty, spirited young woman who looked forward to starting adult life and education. My name is Steven Rossi of Ipe Woods USA. Caitlan was not only my niece, she was also an inspiration to me and our family. Caitlan’s brilliance and charm was the light of our lives. She will not have the opportunity to fulfill her dream of going to College. In Memory of Caitlan Wallace, Ipe Woods USA is offering a College Scholarship in the amount of $1000. This initial scholarship of $1000 will be offered to someone who needs financial assistance to fulfill their college dreams. Ipe Woods USA is accepting applications with an attached essay to award the first Caitlan Wallace Memorial Scholarship. The advent of safe phones, texting, and social media has led to an increase of traffic accidents due to distracted driving. In a two-page essay please discuss the necessity for safe driving and the perils of distracted driving. We ask that this essay be a concisely written creative essay that can be shared in Memory of Caitlan Wallace and her tragic automobile death. The essays will be judged on academic excellence, writing style and the concise conveyance of the points you make highlighting the need for safe driving. The work must be original and unpublished. The writing will be checked for plagiarism and writings that were previously published on any kind of media outlets, including personal blogs, Facebook pages and similar platforms, will not be considered applicable. The essay must include at least three official and authentic sources to corroborate your argumentation. Once you submit your essay, you give ipewoods.com permission to use it for commercial purposes. The essay must follow a logical reasoning as your writing must be based on factual and logical arguments to prove your point. The writing style is free, as creativity is also evaluated. We welcome and cherish conceptual writing, provided that you follow the aforementioned guidelines of argumentation and remain objective. The writing must explain a particular point of view and prove it reasonable and logical based on the official sources you have to include on your writing. The sources that refer to objective statements must be cited as quotations, whilst official data sources, like statistical data, can be simply referred at the end of the writing by an index markers system of your preference, i.e., “1, 2, 3, 4….”; “*, **, ***”. Both types of sources, either quoted statements or data sources must be referred at the end of the essay in a separate section that must be titled “References”. You must include links for the official websites where the information can be accessed or, in the case of books and other printed media, you must include an extended reference with the number of the page and paragraph where the data or statement can be found, as well as the year of the publication, and the name of the book and the author. Once again, note that the essay must follow a logical reasoning. Religious books or any other kind of abstract, empiric or non-scientific sources are not valid to corroborate your argumentation and you will be eliminated from the contest. Your essay must be saved as a “.doc” file. You also must submit an official document that proves you are currently studying and associated with your school/university, including an official certification by the institution, as a signature or an official stamp. This document must be scanned with a good resolution and attached to your email. The announcement of the winner is made on November 15th. The winner must claim her prize within one month or the second highest grade of the selection will be awarded as the winner. To claim the prize, we will contact you and your school/university to prove your association and subsequently, the prize will be sent via check . Deadline The final date for submission is November 1st 2018, and we will choose the winner by November 15th and the check will be mailed out by November 20th 2018.